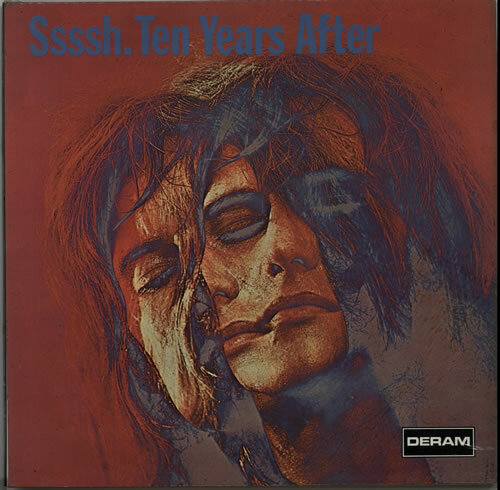 TEN YEARS AFTER Ssssh! (Rare 1969 UK 8-track mono vinyl LP, front laminated gatefold picture sleeve with mono/stereo die-cut indicator on the back & red poly inner. The sleeve shows only a little minor creasing in the laminate commensurate with age with a little surface scuffing towards the bottom front edge but is otherwise a nice VG+/EX- example. The labels shows some spindle marks & the vinyl remains in very respectable order with a few minor hairlines which have no effect on play and the odd paper scuff. Very rare & tricky to find, so much so that this is only the fourth surviving original mono we've found! DML1052).